Canadians waste a staggering $31 billion of food each year, and it’s estimated that less than two thirds of the food that is produced worldwide is actually consumed. Waste can occur at every stage of the production process before the food gets to our table. Foodsharing Ottawa equates the lost water from food waste in North America to leaving the tap running and pouring 40 trillion litres of water down the drain. Equally unsettling is the fact that more than half of food waste occurs after it’s purchased by us. While many regions throughout Canada and the world struggle with food insecurity, vast amounts of perfectly edible, nutritious and healthy food still end up in Canadian landfills. The financial and environmental implications of food waste are hefty, with taxpayers spending nearly $5 million a year disposing of non-composted food waste. 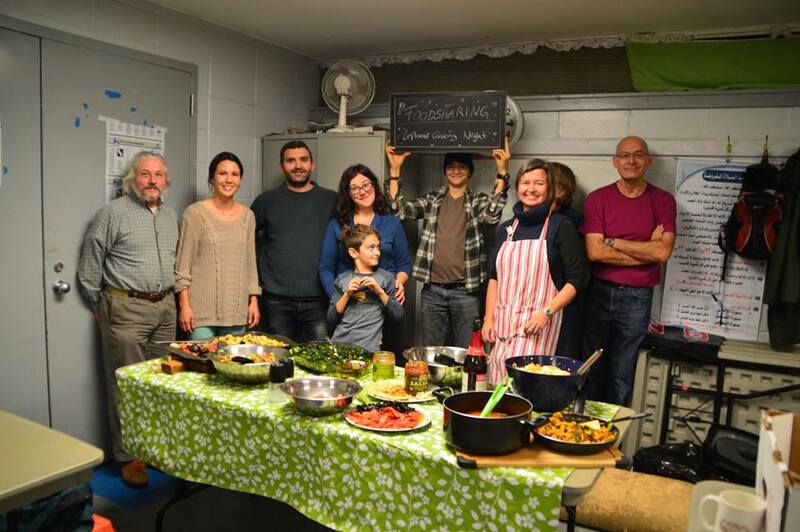 Foodsharing Ottawa, JustChange’s most recent grantwinner, is a grassroots, volunteer-based organization working to combat food waste and counteract its negative effects on communities and the environment. With a mission to empower people to be the change they want to see in the world by letting them participate in rescuing and sharing food, Foodsharing Ottawa has undertaken an ambitious new project to bring a community fridge to an Ottawa neighbourhood. A prime example of foodsharing, the community fridge would bring attention to the issue of food waste, help those who need the food and create a sense of community around the local area. Join us in celebrating Foodsharing Ottawa at JustDrinks on Tuesday, November 7, 6pm-8pm at the Atomic Rooster. Let us know you’re coming!